Agricultural conglomerate Bayer CropScience has announced that its vegetable seed business, Nunhems, will change its visual identity and be marketed under the Bayer CropScience brand. Effective immediately, the subsidiary will be called Bayer CropScience Vegetable Seeds and will be responsible for all vegetable seeds activities worldwide, from research to after-sales. 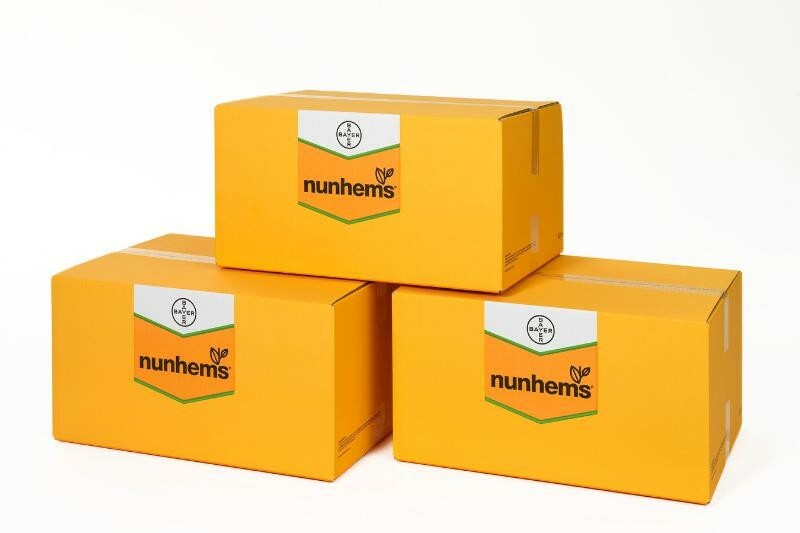 The new visual identity for the Nunhems brand will be aligned with Bayer CropScience Seeds and Crop Protection product brands, the group said. As a result, all relevant materials, including packaging, advertisements, brochures and internet presences have been redesigned and will be implemented gradually from 1 April onwards. "We will keep Nunhems as our product brand, paying tribute to the great recognition this name enjoys within our market. But what really matters for our customers - many of whom already know that we are one company - is that we will continue to be the Global Specialist," said Joachim Schneider, head of vegetable seeds. "We will continue to deliver to them high quality and innovative products, customized to meet their needs. We will continue to work together seamlessly in our crop teams to unearth and share information and provide services which add value to their business." Schneider added: "With Bayer's long-standing history, its large global footprint in life sciences and innovation, its great reputation and brand recognition, its commitment to agriculture, and now its proud support of our vegetable seeds business, our promise to our customers will be even stronger." The new visual identity for the Nunhems brand reflects the overall company strategy of Bayer to significantly increase the value of its portfolio in fruit and vegetables, the company said in its statement. "We are committed to enhancing world food security," stated Frank Terhorst, head of seeds at Bayer CropScience. "To achieve this, we focus on offering crop solutions spanning seeds, chemical and biological crop protection, and extensive service and support programs. "In this context, Bayer CropScience Vegetable Seeds offers a valuable contribution to our portfolio with its unique specialism and direct customer interaction." Great move. Global beurocratic money hungry companies are exactly who growers want to have to deal with. Well done. Almost as good a move as sticking a Monsanto label on a mountain of seed, alienating a growing army of concerned, if not fully educated, consumers. How is it not a threat to future security and financial viability for growers when huge bottom line directed companies have total control over all inputs needed to produce vegetables? Costs have already been driven up so high across the board, whilst the price received has remained very similar to ten, maybe even twenty years ago. Constant pressure to decrease prices (if the option is given to control price at all) is becoming more and more difficult to resist. It's an extremely comfortable position to find oneself in: wedged between mammoth, industry engulfing, mega corporations- supplier and customer both. Supply and demand. One wonders when the two will get together and decide that even keeping growers as the last standing middle man is unnecessary, that in fact, occupying that strategic position will further increase the value of all your other sectors. Then you only have eachother to attempt to set at ease with declarations of intent to contribute to, and support the industry as a whole. Thing is, by that time there will be no industries left- supermarket and agri-input giants will have devoured them from both ends- meeting in the middle to find nothing left, al la the lady and the tramp with their string of spaghetti.